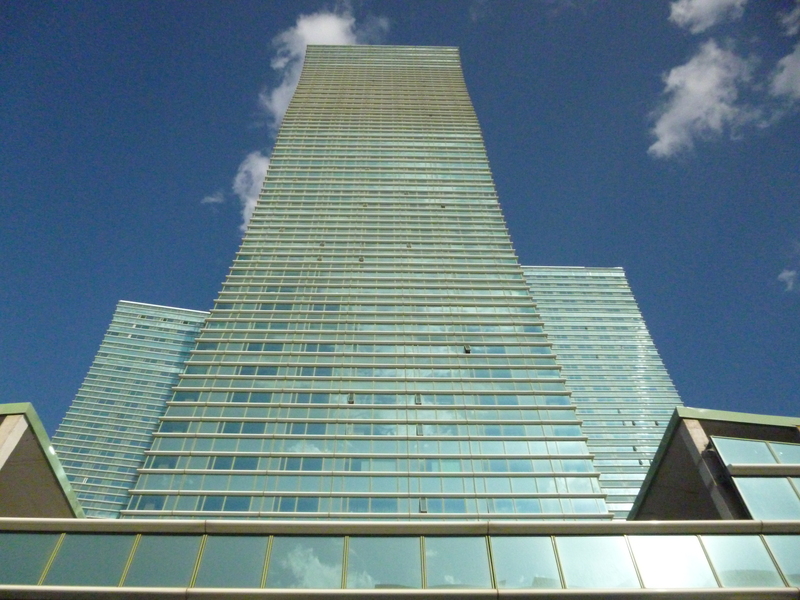 Astana became the bureaucratic and political seat of Kazakhstan in 1997. Then known as Akmola, it seems to have been, by all accounts, an unimpressive provincial Soviet city with a population of 300,000. It has since become an architectural spectacle—a capital designed by some of the most elite global talent for an emerging post-Soviet nation with deep natural resources and a land mass that covers a surface area the size of Europe. The design of the administrative and bureaucratic heart of Astana is widely attributed to the vision of Japanese architect Kisho Kurokawa. A proponent of metabolic urban theory, Kurokawa’s contribution to the urban master plan included designs for a city in symbiosis with its natural environment, climate, and pre-existing developments (such as Astana’s right bank.) Since its inception, the master plan has been modified by Kazakhstani architects and urban planners, not in the least because some of Kurokawa’s ideas were incompatible with the material and climactic conditions of the steppe. 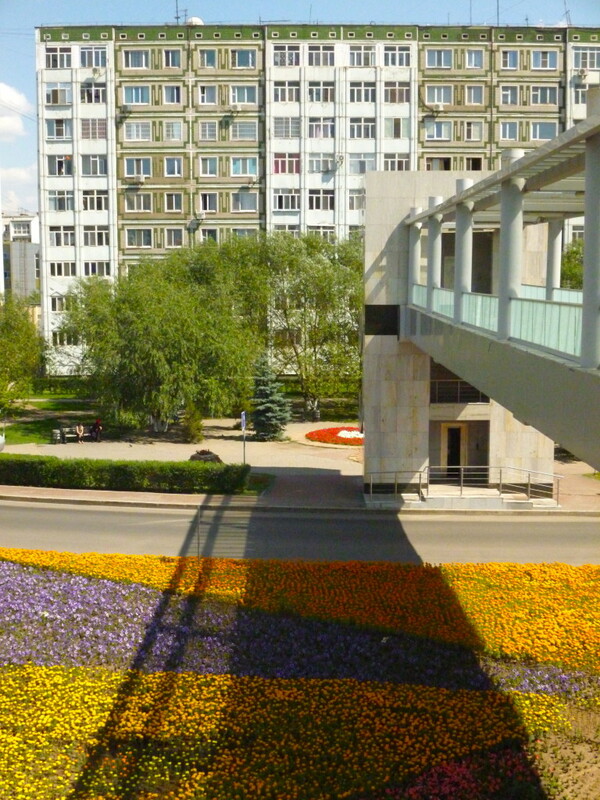 Other modifications to the master plan resulted from an attempt to streamline the architectural vision of the new capital with the demands of Kazakhstan’s post-Soviet national project. The Centre for Peace and Reconciliation. 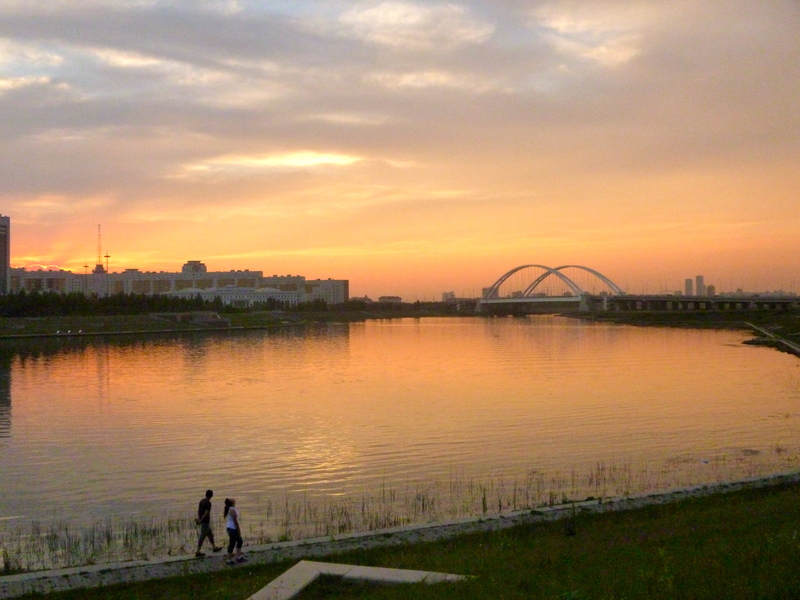 The Ishim river, with a view of the House of Ministries in the background. For a meticulously planned capital that even has a designated restaurant avenue, there is a certain eclecticism to the city’s skyline. Postmodern glass facades sit alongside neo-Stalinist edifices, the latter most recognizable in Astana’s replica of Moscow’s Seven Sisters and the newly-opened opera that is a reproduction of the Bolshoi theatre. Yet other structures, notably the Khan Shatyr (“royal marquee” in Kazakh), attempt to reference traditional Kazakh structures and traditions. 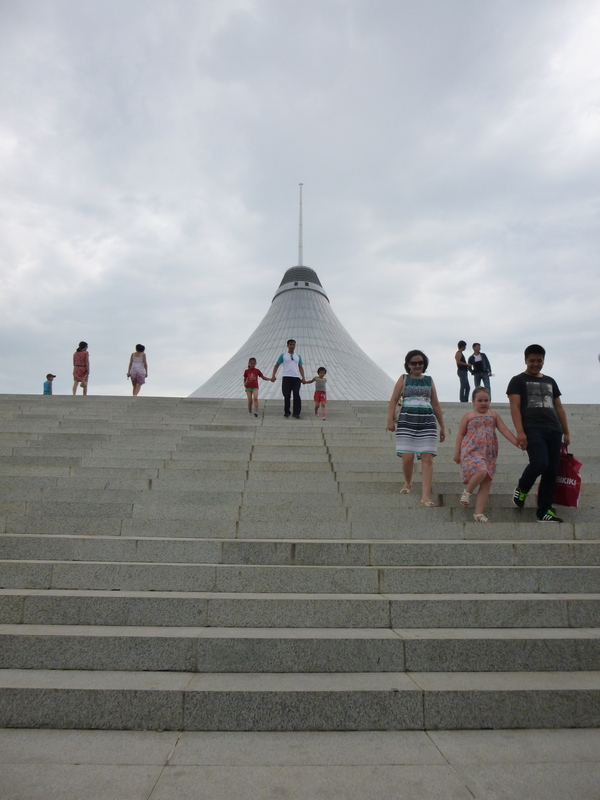 Shaped like a yurt, the transportable shelter of the historically nomadic Kazakhs, the Khan Shatyr emphasizes distinctly Kazakh cultural capital—architecturally, at least, since its interior serves as a massive shopping mall. 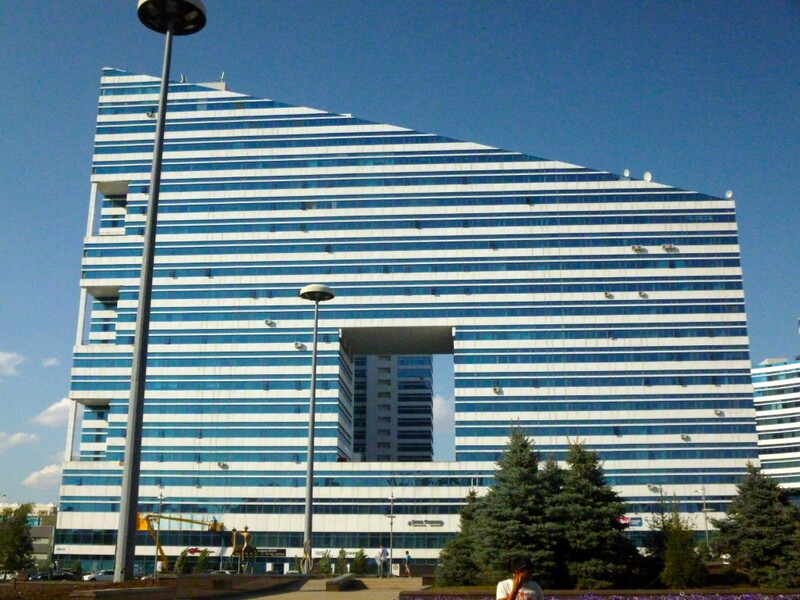 In describing the architectural spectacle of Astana’s left bank, people often use utopian/dystopian idioms or the vocabulary of science fiction. The House of Ministries, flanked by two cylindrical golden glass structures, is particularly Orwellian: a white, curved building split in two that runs to 900 metres in length, it is adorned with countless windows of exact shape. It is impressive and oppressive at the same time. More playful architecture can be seen in residential buildings that offer some visual surprise. 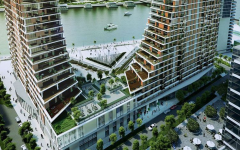 Each building in “Northern lights”, a residential complex and a prestigious address on the left bank, has the distinct shape of an undulating wave. Another skyscraper curves like a cresting wave so that at its highest, the building is wider than at the base. Such innovations seem to defy both the rigidity of the material and the possibility of construction itself. But at street level, a pedestrian is not overwhelmed by unmanageable traffic and congestion—scale, yes, but not unliveability. 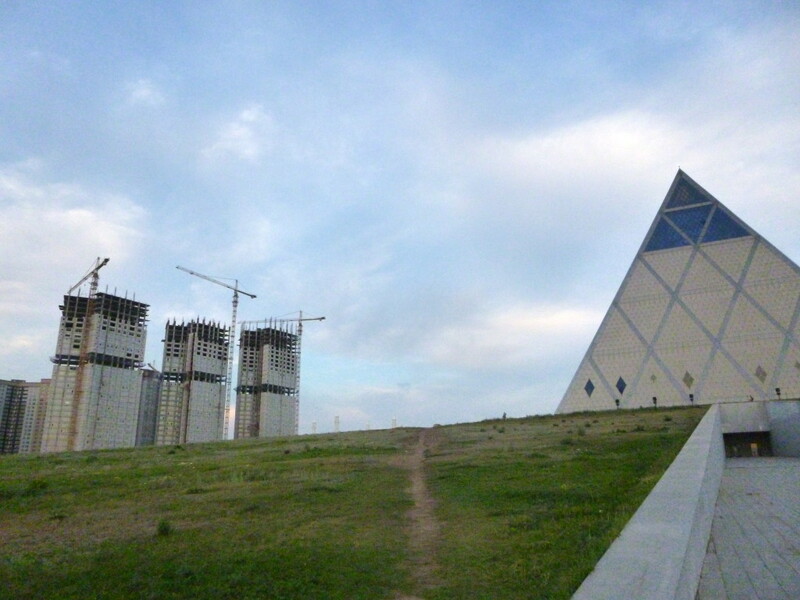 Astana’s right bank, formerly known as Tselinograd (1961—1991), was developed as part of the Soviet “virgin lands” campaign that sought to transform the northern Kazakh steppe into inhabitable land through agricultural and industrial development. Its layout followed the main principles of Soviet urban planning: a linear city, with parallel belts of residential and industrial developments. 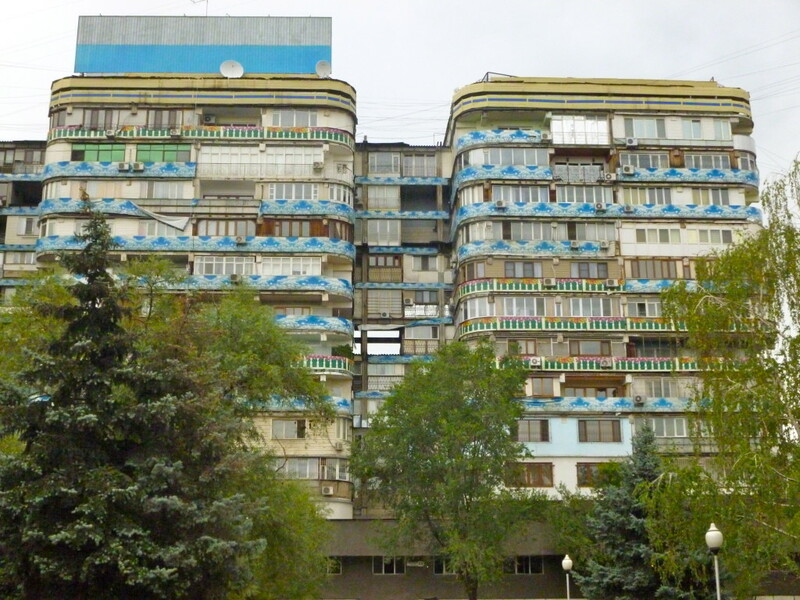 Today, Astana’s right bank Soviet-era buildings house most of the city’s population as rents in brand new and elite residences on the left bank are unaffordable for many inhabitants. 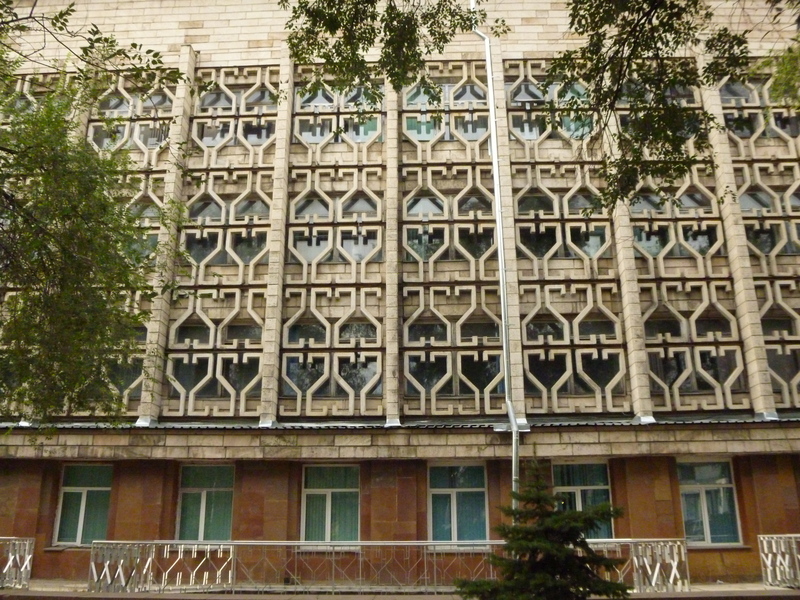 Many of the Soviet buildings are decorated with intricate tile work and ornamental facades, which were given a cosmetic upgrade in the post-independence period. 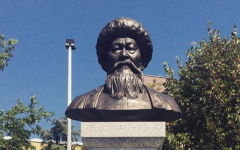 A nineteenth-century poet and thinker, Abai Qunanbiuli is credited with developing the Kazakh literary language. 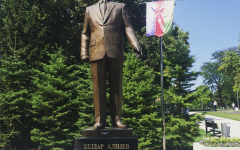 Photo from Almaty. 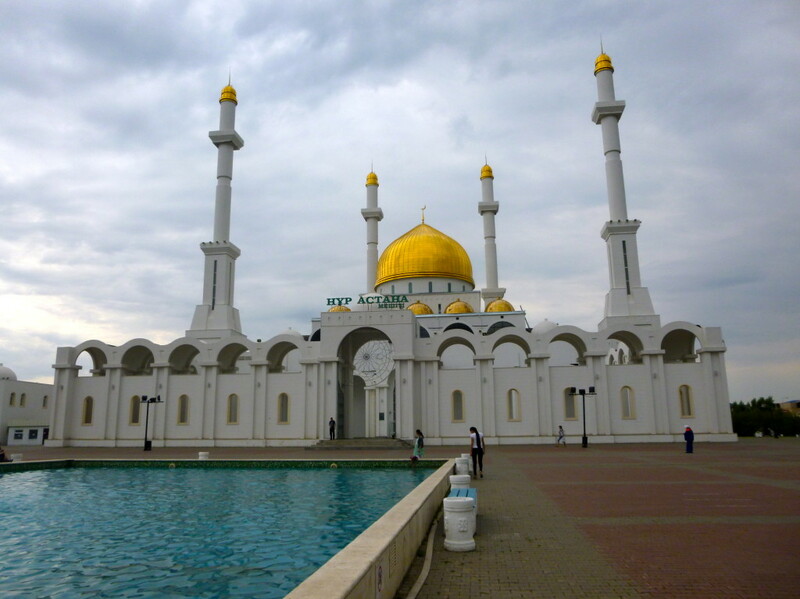 The Nur-Astana Mosque, funded by the Emir of Qatar, was once the largest in Astana. 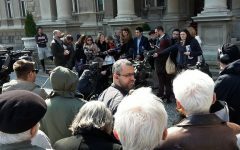 It has now been superseded in size by the Khazret Sultan mosque, opened in 2012 to mark the capital city’s fourteenth anniversary. 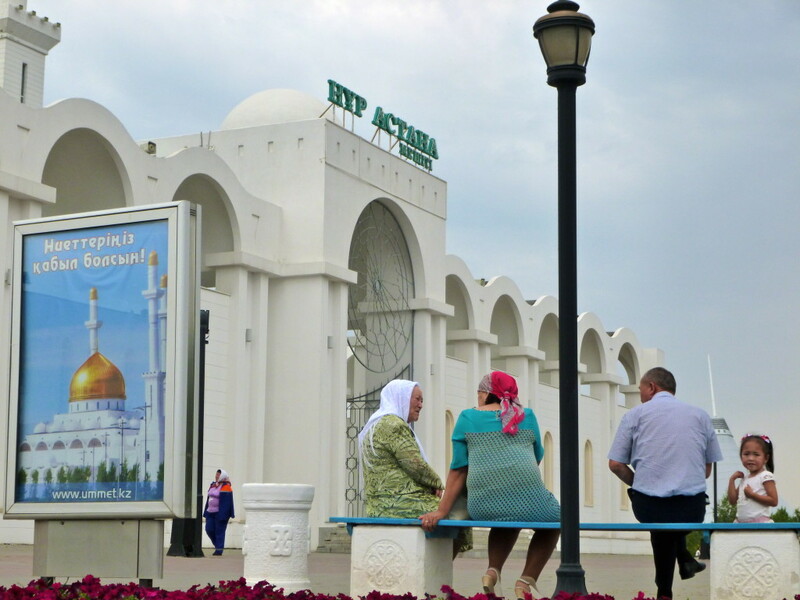 That the Nur-Astana mosque was the gift of a foreign donor signals Kazakshstan’s growing connections to the wider Islamic world in the post-Soviet period. This trend is part of a broader Islamic revival in the country. There has been upswing in both local and foreign campaigning that includes an increase in the number of madrasas, publishing houses, Islamic-oriented universities, and citizens undertaking the hajj. Additionally, the first edition of the qu’ran was published in the Kazakh language in 1992. Scholars note that the relationship between the government of President Nazarbayev and Islam has been ambivalent despite the adoption of Islam by the state as a constituent element of Kazakh national identity, religiousness itself has been sidelined in favour of a secular Kazakhstan (articulated in the 1995 constitution). 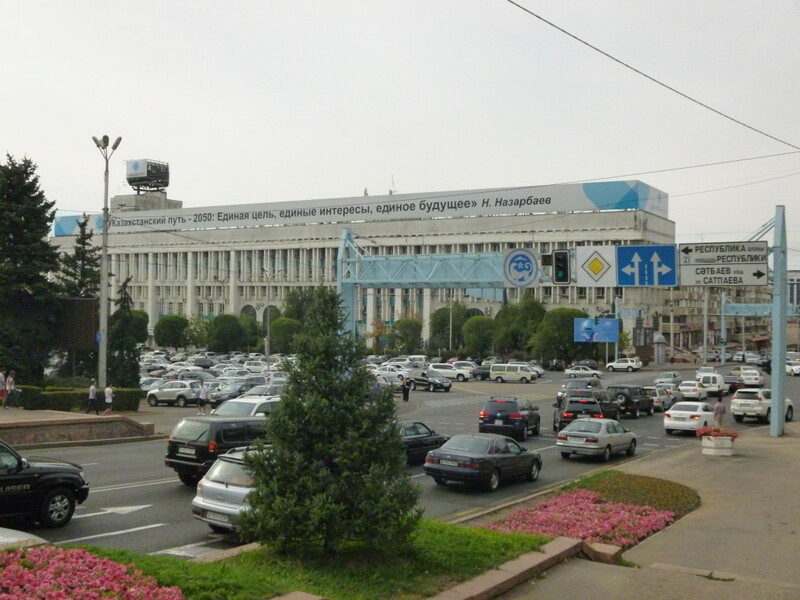 Despite losing its status as Kazakhstan’s capital in 1997 to Akmola/Astana in the north (for multiple and not at all together transparent reasons), Almaty nonetheless still possesses the cosmopolitan bearing of a capital. 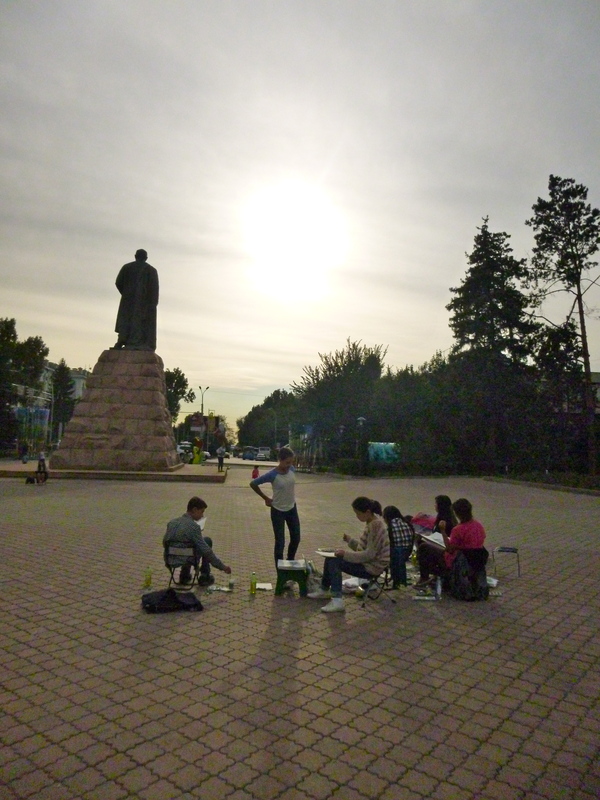 Indeed, most descriptions of Almaty bill it as the most sophisticated of Central Asian cities. It certainly exhibits an easy appeal of wide boulevards, shady cafés, theatres and restaurants. 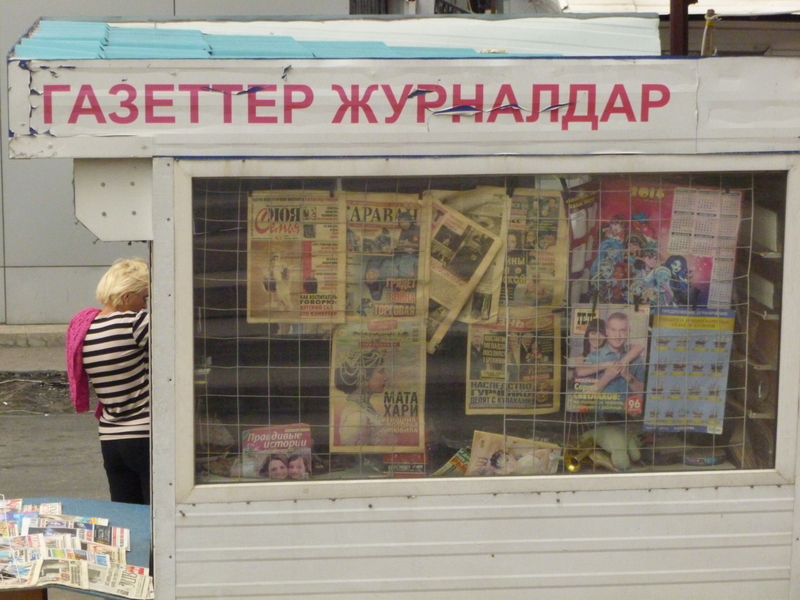 Unlike the more staid and reserved style of Astana’s residents, there’s more fashion diversity on Almaty’s streets, more graffiti, and more teen attitude. 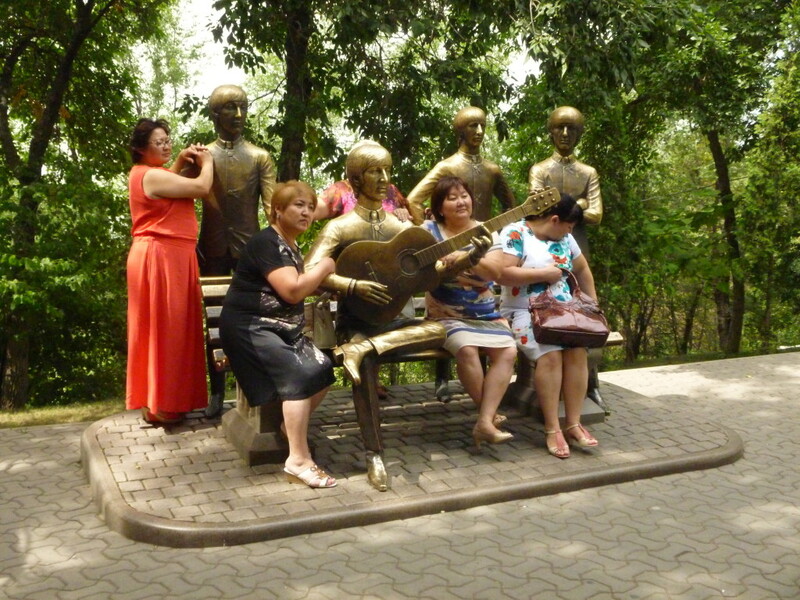 A group of Kazakhstani women have their picture taken at the Beatles monument in Kok Tebe, Almaty. 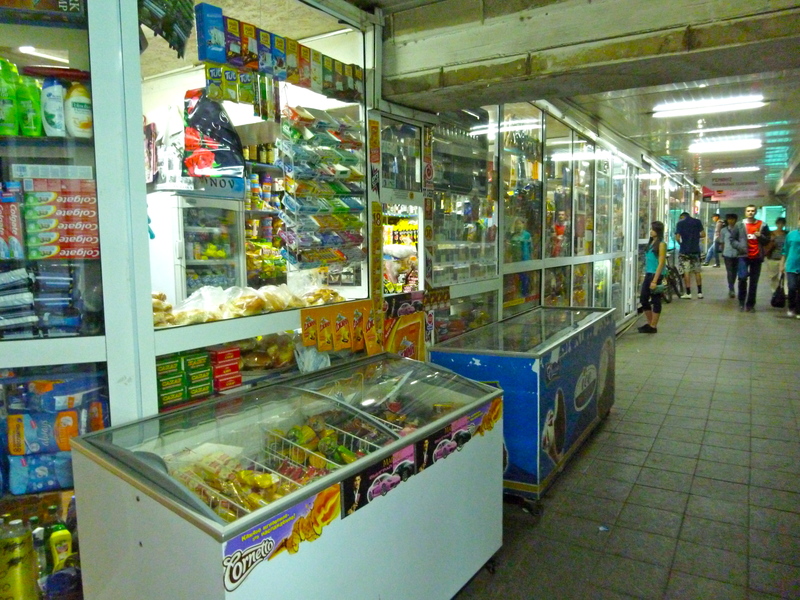 Underground system of shops, or dukeni (in Kazakh) in a pedestrian subway in Almaty where one can find dry cleaners, mobile phone stores, butchers (bones available for 10 tenge per kilo), stationary and toy stores. It is a slogan for the government’s 2050 development strategy recently launched and authored by President Nazarbayev. In a document that lays out the plan’s main principles, the language of economics and politics is strongly linked. Nazarbayev justifies the long-term strategy by highlighting that successful, transnational companies engage in the same long-term projections—a gesture that rhetorically transforms Kazakhstan into an enterprise. It is not so much that economics takes priority over politics, economic development is the political project: “Our main goal is to enter the club of top 30 most developed countries of the world. Our achievements and our development model must become the basis of the New political course.” This course is predicated, as is detailed later, on “universal economic pragmatism” of market feasibility, competitiveness, and profitability. 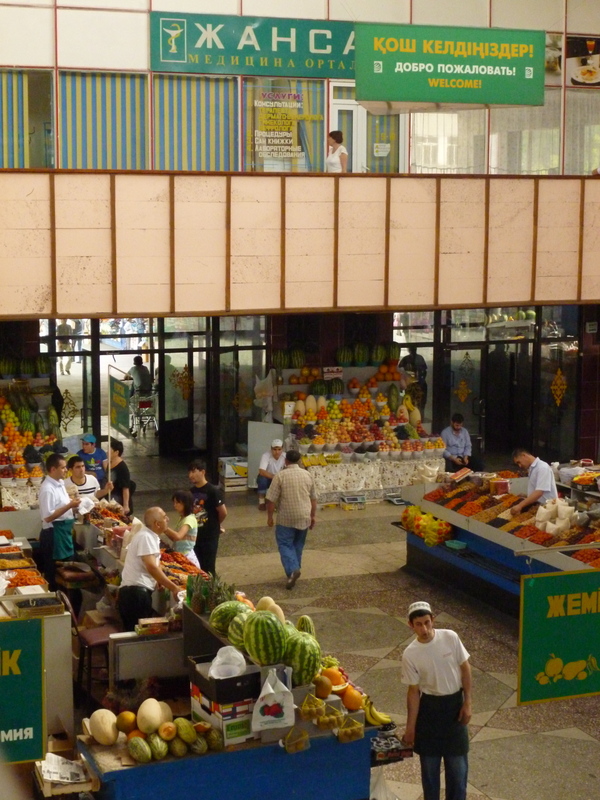 Situated close to the Central Mosque, the Green bazaar in Almaty is housed in a spacious and airy Soviet building with demarcated sections for dry fruit and nuts, green produce, herbs, meat. 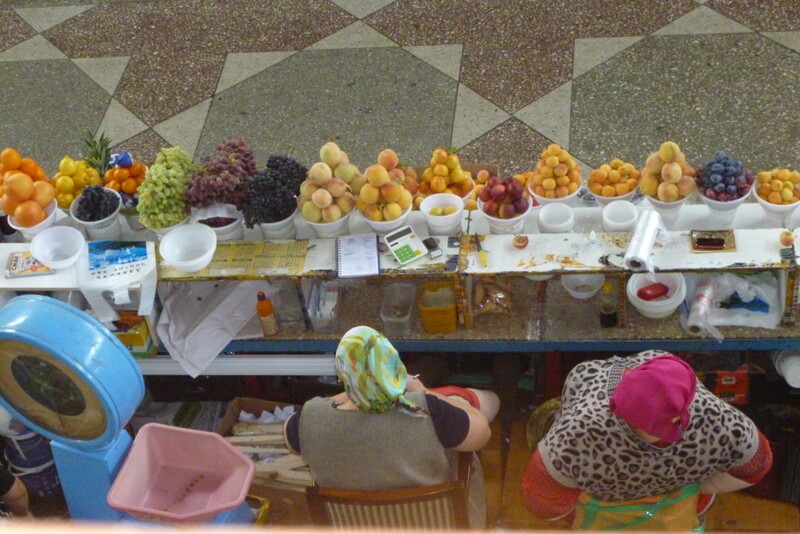 Observing the market trade from an elevated balcony inside the building is a popular spectator sport. Cafés owners often stack together two plastic chairs for their patrons so that they can have a better view of the market floor. The quarter around the Green bazaar is crowded with pedestrians hailing cabs for out-of-town neighbourhoods and street vendors selling boiled corn, samsa, or Chinese goods. Many tradesmen buy their wares for cheaper prices at Bishkek’s Dordoi bazaar and haul them four hours across the border to Almaty and further afield. At the land crossing between Kyrgyzstan and Kazakhstan, vendors wait for customs clearance together with their cases and parcels, often sleeping on their wares. 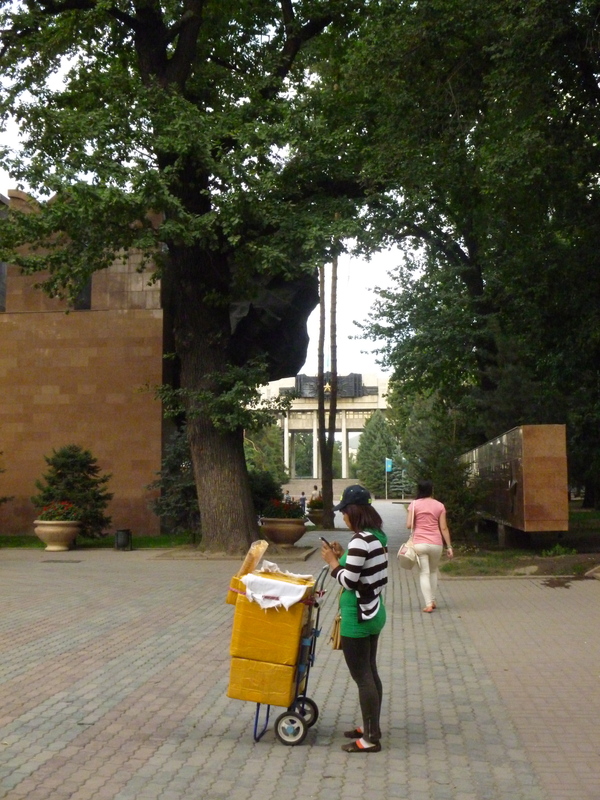 Ice cream seller in Panfilov Park—so named for the monument to Panfilov’s men seen here in the background of the photograph. 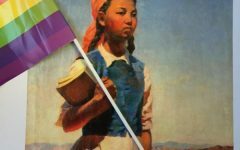 The story of Panfilov’s men—28 Red Army soldiers, predominantly Kazakh and Kyrgyz natives, who were killed in a heroic action against German tanks outside of Moscow in 1941—was celebrated across the Soviet Union. It was also mythologized and exaggerated in official USSR historiography. Both of these qualities are evident in the grandiose scale of the granite Almaty monument. 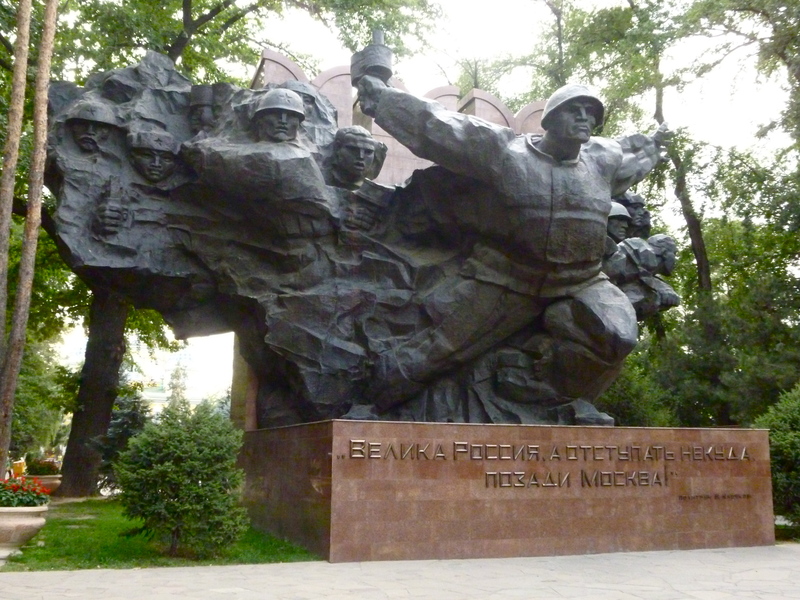 The inscription here reads “Russia is vast, but we can’t retreat. 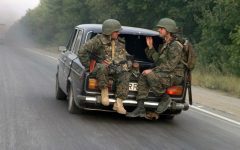 Moscow’s back there.” The phrase is ascribed to Klochkov, a commissar who came to the trenches of the guardsmen, though scholars believe it is a false attribution. 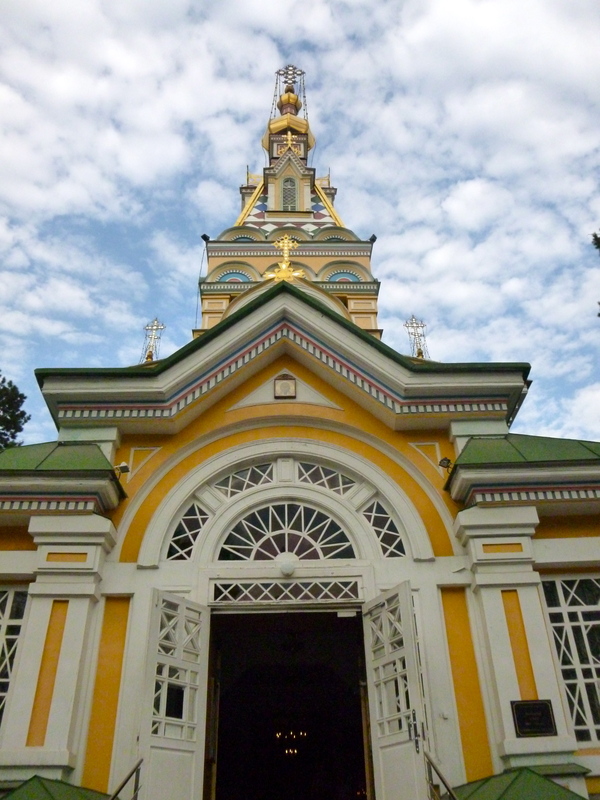 An all-wooden, brightly painted Christian Orthodox cathedral designed by Zenkov is situated in the same park. 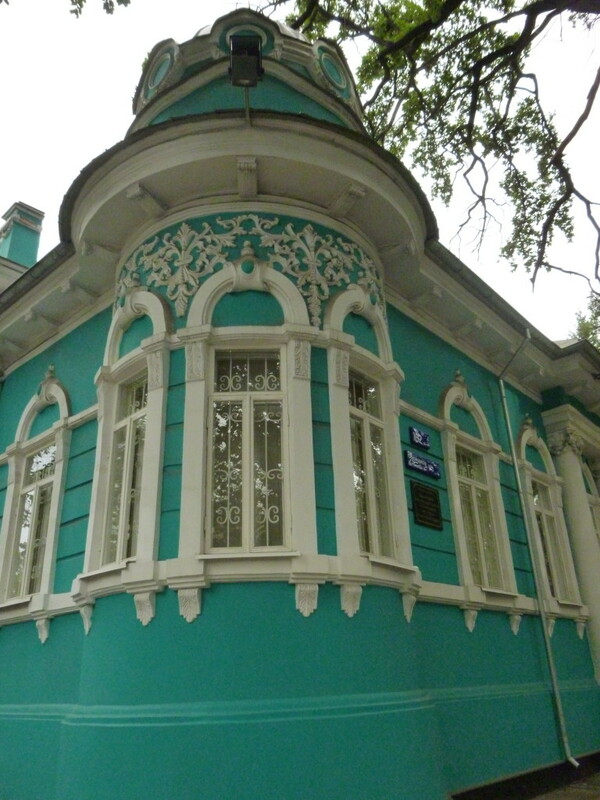 It is one of the few remaining Tsarist buildings in Almaty. Cover Photo: View of the Millennium Alley, a section of Astana’s left bank that stretches on an axis from the presidential palace Ak Orda (seen here in the depth of the photo) to the Norman Foster-designed entertainment and shopping complex, Khan Shatyr.